What's on...where and when ?? 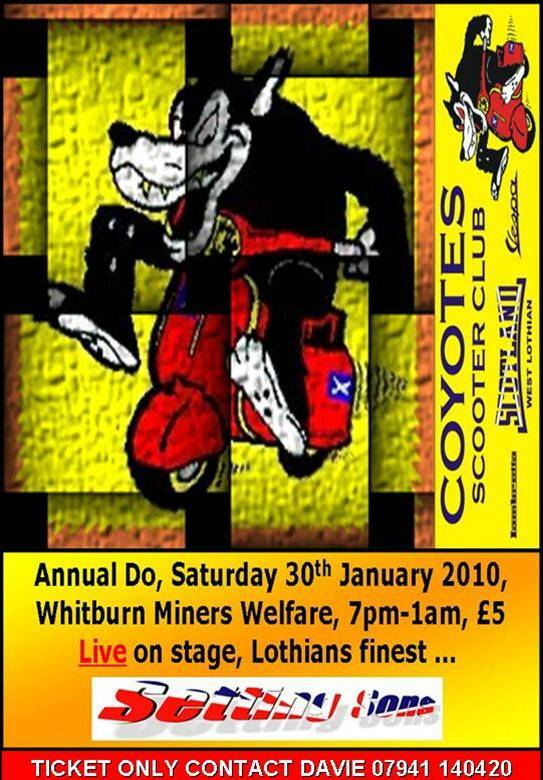 30th Jan : Coyotes Annual DO - strictly tickets only , get em fast as they sell out quick. 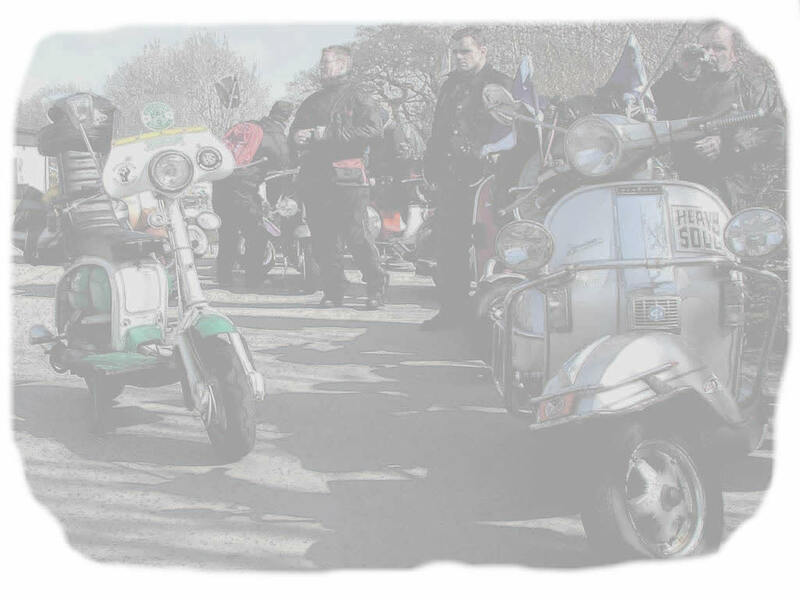 24th April : Lambretta Club of Scotland AGM & get-together, Taiynult. 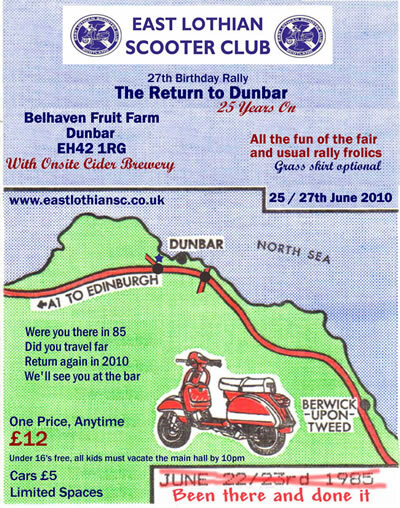 25 - 27 June : East Lothian SC's rally "Return to Dunbar"
and I'll put it on for hee haw !